What if we were to struggle every time a chore or challenge confronted us? even when it feels difficult? Getting to the essence of wisdom in a playful or simple way doesn't make us simpletons. Profound truths don't need a lot of verbiage, they just need to stick in our hearts. 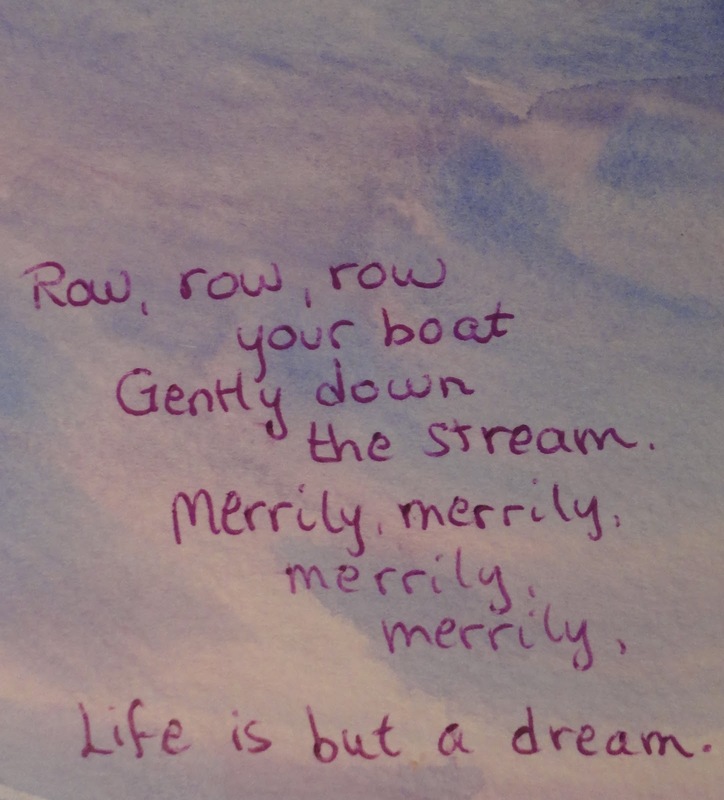 Maybe "Row Row Row Your Boat" is just a silly child's song; or from it, perhaps we can teach ourselves and our children a better way to travel the stream of life: flowing and merrily, one row at a time. This is it. The life we're living is our stream and our actions are our boat. It's not helpful to look around envying others' boats. Within the boundaries of our circumstances, we can paint our boat however we prefer, and aim it wherever we'd like. 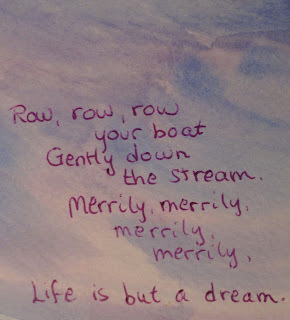 We're only asked to row our own boat, merrily and with ease, so we can live our dream. silly singing this song, and carry on from there.